BOTOX® and Filler Injections Are Available in Brooklyn from the Best Plastic Surgeon in New York and New Jersey. We have offices conveniently located right in Brooklyn where we offer a range of cosmetic surgery and treatment options including BOTOX and filler injections. 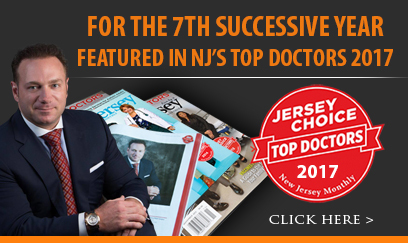 Contact us today to schedule a consultation with Dr. Racanelli, a New Jersey Magazine Top Doctor. You look in the mirror and see a face that isn’t yours. It has wrinkles, crow’s feet, and frown lines that you don’t recall seeing before. That face makes you look and feel older when inside you are still young. Maybe you look down to see your mother’s hand coming out of your sleeve and you aren’t ready for that. An adolescent bout of severe acne has left you looking and feeling scarred. BOTOX and filler injections have been used to smooth out wrinkles and fill in scars and pitted skin for years. Is this treatment the solution for you? If so, you want a well-practiced surgeon handling your case and Dr. Racanelli is an award-winning, board certified plastic surgeon with years of experience. BOTOX is the name brand of a solution that contains botulinum toxin. When injected into muscle with a very fine needle, BOTOX blocks the nerve signals so the muscle relaxes, allowing the skin to smooth out. The procedure takes just minutes and requires no anesthesia. The full effects will be seen in three to seven days and can last up to six months. BOTOX works well for frown lines, crow’s feet, and forehead wrinkles. How Do Filler Injections Work? Fillers are used to puff out wrinkled or pitted skin on the face. They are also used to plump lips. There is a wide variety of filler. Consult with Dr. Racanelli to determine the best one for you. You can even use fat cells harvested from your own body, known as autologous (ah-tall-ah-gus) fat. Under a local anesthetic (a numbing agent) you will receive an injection of filler through a thin needle. The entire procedure takes about 15 minutes. Depending on the filler used, the effects can last from several months to several years. Dr. Racanelli takes the time to meet with you during your initial consultation. He will cover all of your questions and learn about the results you want. How do you envision yourself after the injection? He will help you understand the procedure and soothe any fears. He will also assess the injections you are likely to need to get the look you want. If you are in good health, you are a good candidate for BOTOX or filler injections. Call our Brooklyn office today to schedule your consultation with Dr. Racanelli, named by New Jersey Magazine as a “Top Doctor.” He is a well-known and respected plastic surgeon who can help you look years younger. We also have additional offices in New York and New Jersey for even more convenience. You can request a consultation with Dr. Racanelli online today. Or you can call the office at (347) 983-6770 and one of our staff members will assist you in making an appointment.